Ice Roads – At Peak, our ice road experience began in the late 1980s, and our pioneering methods continue today. Ice roads offer the best means for moving heavy equipment and workers through roadless areas while protecting the fragile ground beneath; We also construct sea ice roads offshore. During the summer they melt, leaving no trace of activity. We’ve built these routes for thousands of miles, making us a leader in the construction of environmentally sound and cost-effective highways to remote sites. Our team provides access to areas otherwise inaccessible to large trucks and equipment. 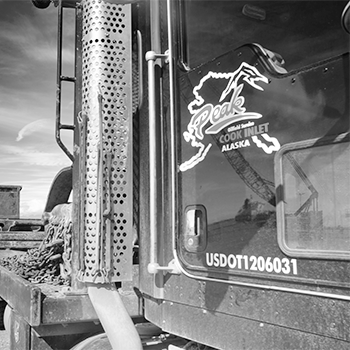 Road Construction & Maintenance – Peak has been completing general civil projects for many years. Work scopes include gravel road and pad construction, concrete installation, culvert/casing installation, piling and VSM installation, foundation repair, floor lifting and containment liner installation, trenching, and utility installation.